Marc Elias, Senior Leasing Agent in Regency Centers' Tampa office, was recently named to CoStar's Power Broker List. Elias was one of five people in the Tampa/St. Petersburg market to receive the 'Top Retail Leasing Broker' award. Each year the CoStar Power Broker Awards celebrate the top commercial real estate firms and brokers across the U.S. and Canada. For 19 years, CoStar has recognized the industry leaders for their success in the commercial real estate market. 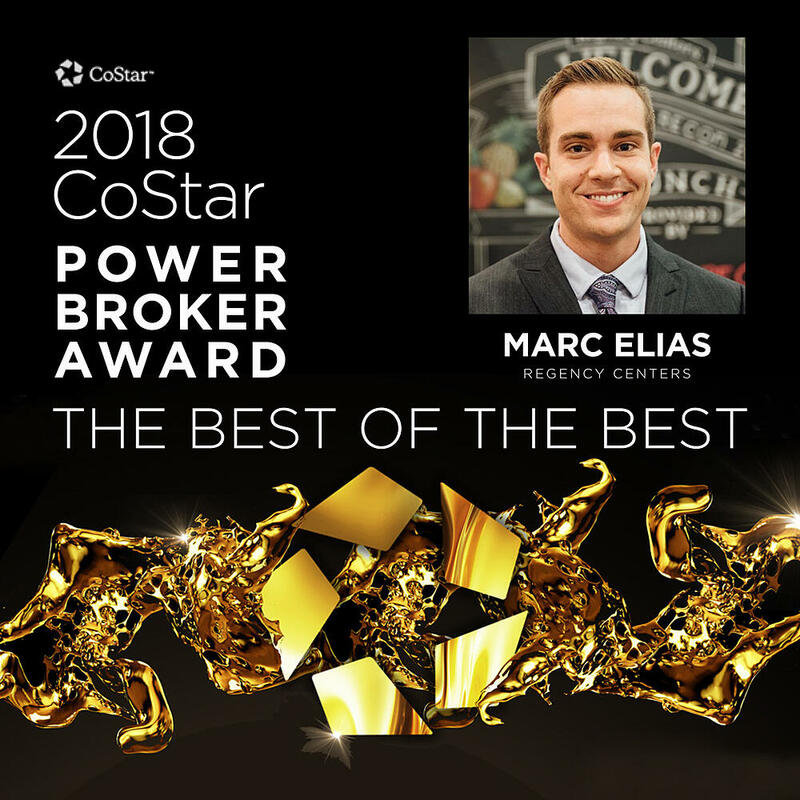 I am honored to be among these great brokers recognized for this award," said Marc Elias, Regency Centers' Senior Leasing Agent. Thank you to Regency and all of our incredible merchants for making this happen. I am looking forward to an amazing 2019. Elias was a top producer at Regency in 2018 and led the company with the highest number of new deals and renewals. For a list of Marc's portfolio of properties, please click here.